Much like the frozen beauty of a portrait, early skincare products attempted to prevent aging which replicated the universal idea of beauty, creating the perfect still picture. The industry has since shifted to youth restoration and self-reliance, so that now all aspects of skincare are marketed. 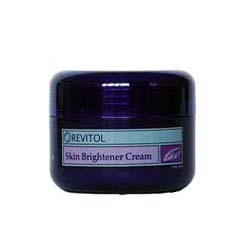 Many people out there seek out retail skin bleaching and skin brightening in their quest for a beautiful complexion. Whitening the skin, a component of former anti-aging routines and brightening of the skin, has become one of today’s new methods and it is popular due to the expectation of society that they can obtain privacy and effectiveness whether they are in a dermatologist’s office or walking through the aisles in the drugstore. Lisa VanBockern, a licensed Aesthetician who owns Skin Script Products based in Tempe, Arizona says, “Products that are purchased over the counter at drug stores contain the lowest levels of ingredients so that the public cannot harm themselves.” Often the terms skin bleaching or whitening are used interchangeably in negative ways but skin brightening is a new term with a positive spin. As the plastic surgeon and director of OCBody.com, located in Orange County, John Di Saia MD explains, “The market in bleaching creams has changed a bit in the last year or so as the FDA made an issue out of the use of hydroquinone, a long used bleaching agent that was a common ingredient in both prescription and over-the-counter products.” Hydroquinone was recently classified as a potential contributor to cancer, which caused the public concern. He explains it from an ingredient vantage point “New products include vitamins and anti-oxidants.” There have been a few laser treatments performed by doctors as well as lasers for home use like the Starlite which provide consumers a less invasive method than skin lighteners or bleaching products that contain chemicals. The marketing strategy for skin brightening products focuses on the difference in skin whiteners and skin brighteners – rejuvenating the skin without the use of harsh chemicals found in skin whiteners. But, doctor Di Saia says, “There isn’t a single formula and there has never been one for these products, however, the old bleaching creams are close to the brighteners used today”. 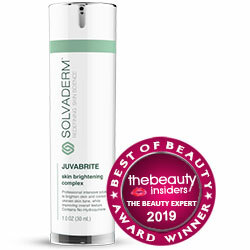 However, there isn’t a consensus in the industry that brighteners are the new whiteners in the skincare industry. This doctor is a board-certified dermatologist and has done research on skin. Skin brighteners improve your skin in a variety of ways. They change the reflection of light off the surface of the skin, while improving skin tone by increasing blood flow and skin cell regeneration. Skin whiteners focus on the pigmentation cells in the skin and attempt to reduce their activity which gives the skin a whiter looking appearance. Whether or not you believe that skin whiteners and skin brighteners are actually different products, the choice you make will affect your goal to have lighter or more youthful skin.